Apologies for not doing my usual writeups on the latest Planning Commission meeting but tax day is rearing its ugly head and I want to stay ahead of the curb for once. My tax forms sent off, electronically of course, I can focus on our local issues. Here’s a recap of what has happened in the past few weeks. Although there wasn’t much on the agenda, the March 17th Tustin City Council meeting went on longer than expected. A good chunk of it was taken up by a presentation by Police Chief Charles Celano. Celano who gave a “year in review” PowerPoint on the most recent activities and plans of his department. Notably, crime is down thanks in large part to the CTAPS crime analysis program implemented under former chief Scott Jordan. In his typical low key style that I’ve come to like, Celano lauded both sworn and professional staff of his department and laid the blame for the general reduction in crime squarely on their backs. He delivered well-deserved praise for his people for their work. Celano has had to weather his share of criticism in the past. It wasn’t too long ago outside rabblerousers invaded the city council chambers in an attempt to discredit the department. There were also attempts to turn low key events into high profile lawsuits (wonder if the plaintiff is the same Reznek from Huntington Beach fame).Those efforts have, so far, fallen far short due in large part to the professional efforts of the department. Prior to the police presentation, citizens spoke during the public comment section of the meeting to garner support from the city council for a proposed Community Facilities District for the Columbus Square area of the Tustin Legacy properties. A sizable group of residents were in the chamber as one of them, Paul Callahan, spoke about the Heritage School situation. As you recall, new residents are paying for a school they can’t use. Heritage Elementary School was supposed to open in 2011. When the school district finally announced the opening of the campus, it was to say they would be moving Hillview Continuation High School and Sycamore Adult School to the new digs. That, of course, didn’t set well with the residents, who had moved there expecting to send their kids to local schools, or the Tustin City Council. The city council, which had a longstanding feud with the school district due largely to former councilman Jerry Amante and his puppet John Nielsen, wielded more taxpayer money by suing the school district again. Claiming the Columbus Square kids would have to go to other schools with predominantly minority populations, the city whined the residents were being cheated. Someone should have mentioned the demographics to Nielsen and Amante before they shot their mouths off, not that it would have done much good. Nielsen, for his part, got up in a subsequent city council meeting and groused about being called a racist. Hey, if the shoe fits…. Since those dark old days, the city and the school district have kissed and made up. That was due in large part to Amante’s departure and Nielsen’s apparent inability to garner enough support to keep the fight going. The winners and losers were Tustin taxpayers. All the while, though, the good folks at Tustin Unified School District were enjoying the public flogging of the city council, even as they plotted their own evil scheme against the residents by moving Hillview and Sycamore. So, here we are in 2015 and the school district, no doubt feeling the pressure, has announced their intention to open the Heritage campus for its original purpose as an elementary school… in 2016. Yes, the district wants another year to get things as they should have been all along. I know it’s shocking but school district officials actually lied to the residents and taxpayers in the area when they said the Hillview move to Heritage was temporary. I mean, how long does it take to build a tennis court or two? Apparently, it takes 5 years. Oh, and don’t expect Hillview to move out right away. We heard it through the grapevine that the school district has no intention of moving Hillview out before they open the site to elementary school age children. It will be a co-campus with both continuation high school students and elementary students sharing the grounds. We can’t find out for sure because the school PIO, Mark Eliot, has refused to answer our past emails (and, we gave up trying). City Manager Jeff Parker shed some light on the issue at the end of the city council meeting. Parker wanted to make sure folks know who to blame in case something screws up. In following comments, he also made sure everyone knew the city remains a majority property owner in the area and, of course, it is the property owners who cast votes to form a CFD. That shouldn’t be too difficult to sell, even to the residents. They are, after all, desperate for a school they can actually use. Maybe the city should make the re-opening of Heritage as an elementary school exclusively, as a condition for their vote. In fact, that may be what the city is laying the groundwork for as Parker disclosed the working group that will “set the guidelines” for the CFD. In any case, don’t expect things to go that smoothly. What they should be doing is working above board to insure the residents who desperately need these schools are informed. In reality, what will probably happen is the city attempting to influence the school district AGAIN in how they run their schools. 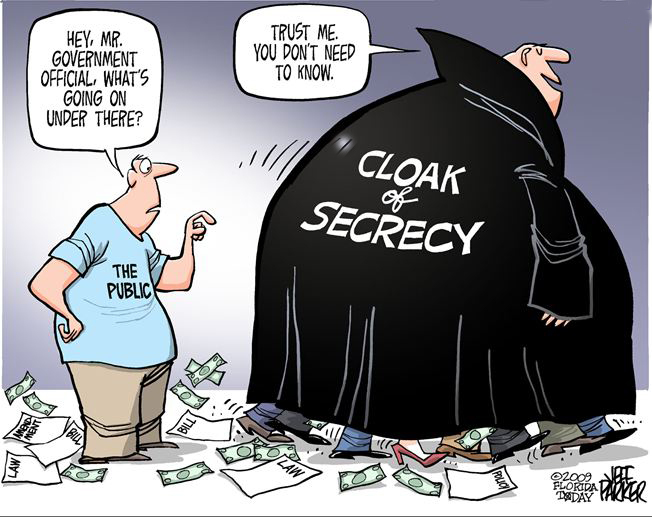 Surely, transparency can’t be on their mind as the “committee” consists of TUSD and city officials with no representation from the affected residents. And, while I think it was underhanded of the district to actually pull the bait and switch the city earlier accused them of, it is just as reprehensible to believe the city should have any say in how schools are run. Leave that to the experts. The last item, as a reminder, Linda Jennings of the Tustin Preservation Conservancy, appeared at the city council meeting to announce the formation of a GoFundme account for the restoration of the Jabberwocky. This Tustin landmark was restored from the ground up by the owner using local historic architect, Nathan Menard and other folks. There’s about $10,000 that was not covered by the insurance. Linda reminded folks they could help by donating whatever they could afford to the restoration effort by going to the Jabberwocky site (or see the link in our sidebar) . So far the effort has raised over $3,000 toward their goal.